What’s Important About The Nike Hypervenom phantom III? The Nike Hypervenom phantom III cleats are truly lethal attacking boots. 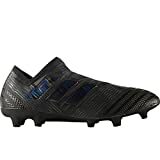 Designed for the ruthless strikers who can change direction, pass and strike the ball. 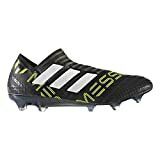 These cleats are best suited for your modern day striker who lacks in no areas of skill, pace and power. For the first time in it’s creation the Hypervenom has a full Flyknit upper. This helps keeping your feet locked in and secure for the match. Enjoy the comfort of a sock-like feel on your feet as you comfortably mold into the game of play. The Dynamic match collar is now offset to furnish better support to your ankle for agility and fast cutting actions. Flywire on the sides of the upper material work with the laces to wrap around your foot, creating a personalized fit for your feet. 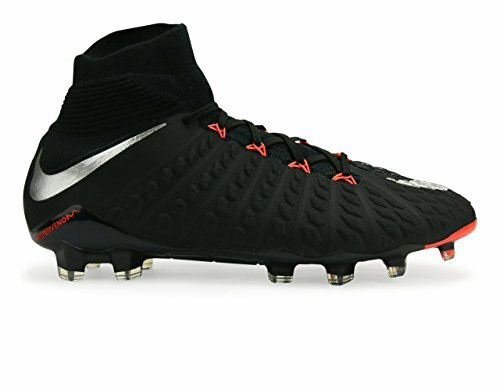 The texture on the upper material of the Nike Hypervenom phantom III is made of hollow divots around the foot area, this provides a dampening touch to support shooting. The strike zone points PORON foam pods will actually harden when on contact with the ball to add a powerful effect on your overall shot. The cleat becomes firmer and more responsive in striking situations. This will allow you to shoot confidently whenever you see the right angle. Hybrid studs on the the medial aspect to help with chopping and ground penetration, at the same time chevron studs on the lateral part help in breaking and accelerating. Where Else Can I get it? There are hundreds, maybe thousands of dealers who are in fact authorized to sell these brands. With that being said, as players of the beautiful game you’re better off going to a soccer-centric website.